Okay, so I just got a new Saab that I am enjoying tremendously. But I also dream about my next Saab. That's just the way I am. And I guess that's what keeps my interest in Saab alive. On this page I will try to gather most of the bits of news and information about Saab's future technology and cars. The page will be continuously updated as new information surface. 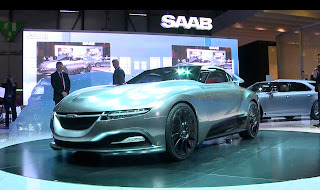 First let's look at the upcoming technology Saab is implementing and developing. In June 2010 Saab revealed that the next 9-3 will use Saab's own platform named Phoenix. The Phoenix platform will be Saab's own intellectual property. It will be a very flexible platform that can be used to underpin both the mid-sized Saab 9-3 and the mid-sized SUV 9-4X, as well as the next version of the executive sized 9-5. The first car to use this platform will be the upcoming 9-3 set to debut as a model year 2013 car in October of 2012. The Phoenix architecture use a modular construction method, which means that an increasing number of common components and designs will be used in all future Saab models. As of February 2011, Saab is testing the Phoenix architecture in Norrland, which is up in the north of Sweden. Early reports indicated that Saab may use the HiPer strut front suspension on the Phoenix platform. Saab developed the HiPer strut suspension for the Epsilon II architecture. HiPer strut is a sophisticated front suspension that isolates the steering from the damping, and thus enhances the precision of the steering compared to a regular MacPherson suspension. 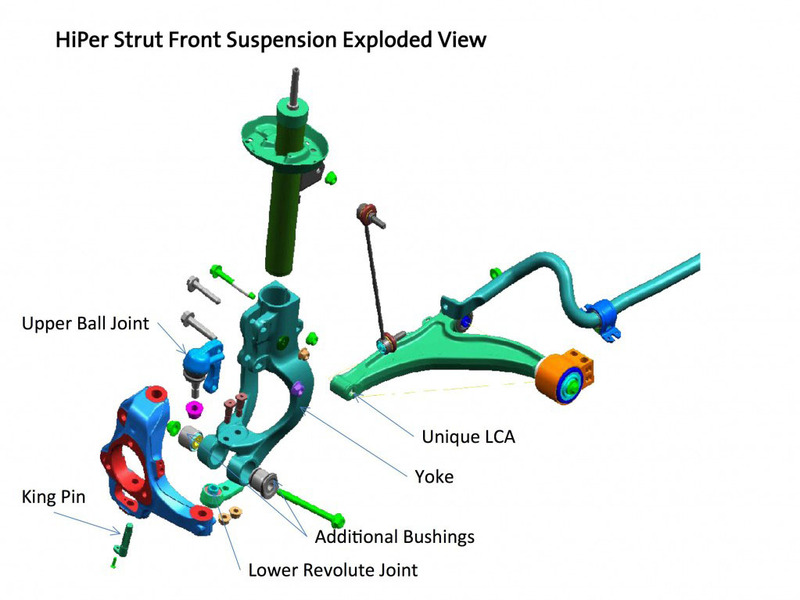 The HiPer strut suspension is said to be a strong candidate for implementation in the Phoenix architecture and maybe even as a standard suspension. However, the Saab PhoeniX concept uses MacPherson struts which could indicate that the upcoming 9-3 will use MacPherson. In March 2011 Saab revealed that ZF Chassis Systems will supply front sub-frames for the PhoeniX architecture. ZF will also supply complete rear axles, which will be a 5-link independant design. At the end of September 2010 Saab signed a deal with BMW to buy the German carmaker's 1.6 litre twin scroll turbo powered engine. This is a compact, all-aluminum gasoline engine with variable valve timing and lift control, as well as start/stop functionality, minimal parasitic losses and a fuel cut-off function. This engine will debut for Saab in the next Saab 9-3. BMW and Saab will cooperate in implementing the engine in the Phoenix platform. The deal allows Saab to adapt and adjust the engine according to Saab's own preferences. From earlier we know that Saab has great expertise in engine management (e.g. the Trionic engine management system) and it is safe to assume that Saab will make the engine feel like a true Saab engine. Saab is also looking into making the engine BioPower capable. The deal is reported to also include BMW's fuel-saving stop-start and regenerative braking systems. Furthermore, Saab's Chairman of the Board, Victor Muller, recently said in an interview that we can expect Saab to make more deals with BMW. In September 2010 it was revealed that since 2007 Saab has secretly been developing the next generation four wheel drive system. This system will consist of an electric system that drives the rear wheels and an internal combustion engine, e.g. the 1.6 litre sourced from BMW, that drives the front wheels. Saab's new system is said to be a unique design and will give excellent traction, enhanced handling, driving pleasure and safety. When shifting from first to second gear, the electric powertrain will increase the power to the rear wheels so that the speed don't drop. The system will also send power to the rear wheels when accelerating from standstill and when going uphill. The hybrid system is of course also integrated into the ESP (Electronic Stability Programme). There will also be regenerative brakes (a kinetic energy recovery mechanism). There are also claims that the system can help reduce fuel consumption up to 30 per cent compared to performance-wise comparable existing powertrain systems. The system will be made and marketed by a joint Saab and American Axle Manufacturing venture called e-AAM Driveline Systems. Saab will dub their version of the system eXWD, and the system will debut on the upcoming Saab 9-3 set to launch in October 2012. According to the chairman of Saab, Victor Muller, all Saabs of the next generation (upcoming 9-3 and onwards) will be available with the eXWD. The Swedish magazine Automobil's online site claims that they have spotted a Saab diesel hybrid. Furthermore they claim that this hybrid has been in development since 2007. That's around the same time that Saab started to develop the e-AAM drive line system. There is not much more information about this at the moment. Saab has made no statement about a diesel hybrid and there is no way to know if this is the real thing or not. But it's interesting nevertheless. 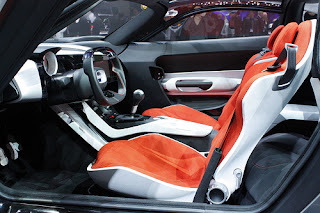 In August 2010 reports emerged in the media that a senior source at Saab confirmed that Saab had developed a double-clutch transmission for GM to be used in a mid-engined Chevrolet Corvette C7. The talk of a mid-engined Corvette was later denied by GM. 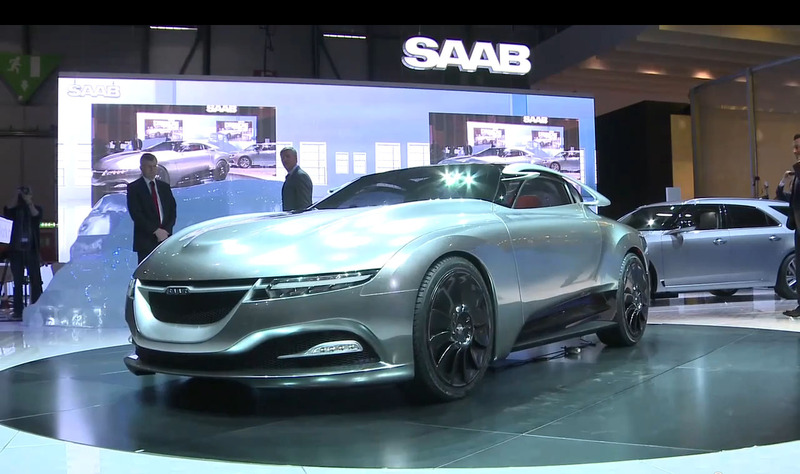 But nonetheless, rumors have it that Saab indeed have developed a DCT. But this wasn't the first time we heard about Saab developing a dual-clutch transmission. Back in 2007 NyTeknik had an article about Saab Powertrain (known as GM Powertrain Sweden at the time) hiring 100 new engineers to work on gearboxes for GM. Including a DCT gearbox. 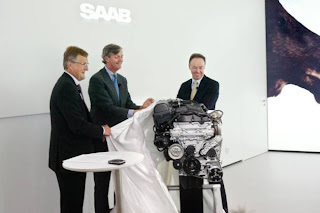 On 1 January 2011 Saab Automobile transmissions development was divested to new company, called VICURA AB, fully owned by investor consortium and staffed by former Saab Automobile engineers. This company will develop dual clutch transmissions for the automobile industry. At the Paris Motor Show in September 2010, Saab showed the first of a fleet of ePower test vehicles. In total they will build 70 Saab 9-3s powered by 135 kW/184 hp electric motor and 35.5 kWh lithium-ion batteries. It is designed to operate with full power in ambient temperatures as low as -30ºC. The cars will have a driving range of approximately 200 kilometers and will offer its occupants the comfort and size of a wagon bodystyle. In the project Saab is collaborating with Boston Power (batteries), Electroengine in Sweden AB (electric power trains), Innovatum (project management) and Power Circle (Sweden’s electric power trade body). Last year the Swedish car magazine Auto Motor & Sport test drove a Saab 9-3 convertible electric car. From that article we learned that what makes Saab's electric car unique is the battery management system. This system doesn't require batteries that match perfectly and therefore batteries will be cheaper and faster to produce. And when one or more batteries are damaged the batteries can be easily replaced. In addition, the fast charging phase is longer than in conventional systems. Furthermore, the battery pack is air cooled as opposed to water cooled like most electric cars. The next generation of Saab cars will have a new infotainment system named IQon. This system is built on Google's Android OS. In addition to controlling multimedia and car functions, the IQon system will let users download a wide range of applications, online services and multi-media functions provided through a Saab IQon store. And thus keep the system updated during the car's life cycle. All Saab cars starting with the 2013 Saab 9-3 will have the IQon system. Saab has also, together with steel manufacturer Outokumpu, developed new innovative stainless steel fuel tank which is lighter and less expensive than a conventional plastic design. This new fuel tank will probably also be used in the upcoming Saab 9-3. According to Jason Castriota, Saab is also working hard on developing thinner seats (like presented in the PhoeniX concept), which not only means less weight but also more legroom. But these seats are still a few years away. What would a Saab be without great design? Saab has a great tradition of minimal, clean and functional Scandinavian design. From Sixten Sason's Ursaab to Björn Envall's Saab 900. Not to forget Einar Hareide, Micheal Mauer and Anthony Lo. 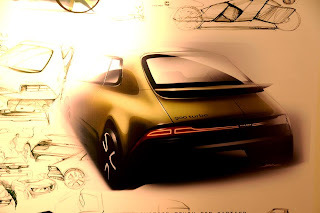 When Spyker had bought Saab in February 2010, one of the first things new Saab chairman Victor Muller and Saab's CEO Jan Åke Jonsson did, was to hire Jason Castriota as the director of design. His first task was to design the next Saab 9-3. By October 2010, Saab had full scale models of the next 9-3 and was currently testing the aerodynamics in the wind tunnel. The design was said to be more or less finished, except for the front headlamp and some other minor details. As of February 2011 the design of the upcoming 9-3 was finished. No pictures, sketches or CGIs have leaked out from Saab, but a few people that have seen the car have comments on the design. According to Autonews, one US dealer who saw the a picture of the car said that "it had a Porsche-like rear with a fin". And an insider have told the enthusiast blog SaabsUnited that "the car was a five door hatchback. It looked like a true Saab, modern, but the look of the 900 prior to the GM 900". When the next 9-3 debuts in 2012, Saab will return to the hatchback body form. In addition, a convertible will be available. Ever since the 900 convertible was launched in 1986, this body variant has been very successful for the 900/9-3 model series. These variants are confirmed by Jason Castriota in an interview done at the 2011 Geneva motor show. But it won't stop there. Saab will also launch a third body form of the next 9-3. At the moment it is unknown what the third variant will be. But it will not be a sedan! The three variants are signed off by the Saab management. In addition to these three variants, Castriota also says that he wants to do two other variants as well. It is likely that one of the variants he want to do is a two door coupé ("Sonett"). At the 2011 Geneva motor show, Saab presented the new concept car Saab PhoeniX. This concept car is the first Castriota Saab design shown to the public. It is built on the Phoenix architecture and the design aesthetic will shape and differentiate future models in the Saab portfolio. All the technology in the car (1.6T, eXWD, IQon, etc) will be brought over to the upcoming 2013 Saab 9-3. So just how good is the upcoming technology? 1. For the first time since the seventies, Saab has developed a platform specifically for Saab. In other words, they don't need to take into consideration that other brands will also use the platform. It is developed to meet Saab's needs and Saab's needs only. 2. The new electric rear powertrain developed by Saab, which will be set into production and marketed by e-AAM, is said to give excellent drivability at a very low cost. And it is easy to implement on existing platforms. Can Saab sell this technology? In Saab's business plan they assume that in the future they will not only buy technology, but also sell. One example is the e-AAM joint venture which will focus on selling the technology to other manufacturers in addition to Saab. If the technology is good enough, it will sell. It has also been reported that other carmakers, including Asian ones, have contacted Saab and shown interest in licensing the Phoenix platform. So even though this platform is developed to be very "Saabish", other carmakers are apparently interested. I'll take that as a good sign.